IT Support Technicians provide computer and software technical support in person, over the phone, through email, or through live chat. Technical support can include helping staff with their computers to providing support for network systems. The problems an IT Support Technician may encounter can range from something as simple as a user forgetting their passwords to more serious matters, such as a virus on their computer. IT Support Technicians perform a wide range of duties. Aside from providing troubleshooting for software and computer problems, they are often also responsible for the maintenance and installation of hardware components. Train staff on how to use office computers. Answer questions and solve problems related to Information Technology. Participate in continuing their education to stay up to date on technology trends. Utilize creative thinking in order to troubleshoot customer problems. Possess an eye for detail to ensure possible solutions are efficient. Communicate clearly with staff to promote cohesive software management. Demonstrate great customer service to solve problems as they arise. In order to qualify for an entry level position, most employers will want candidates to have at least an Associate’s Degree in Information Technology or a related field. Many candidates will find themselves able to secure an IT job simply through on-the-job training or by graduating with a professional certificate program. How do you keep up with latest technology trends? Can you explain what subnetting is to someone that does not have any technical background? What would you do if you were faced with a technical problem that you could not fix? What is the difference between a router, switch and hub? This position requires customer service skills. What does good customer service mean to you? 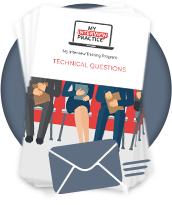 Have you had any experience remote troubleshooting? In your opinion, what makes remote troubleshooting more efficient than in person or other forms of troubleshooting?